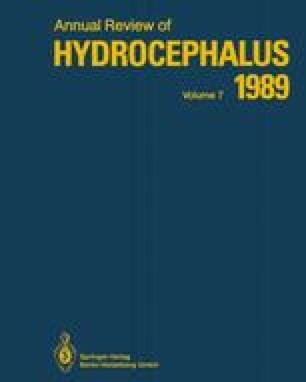 It seems to present some correlation between estrogen metabolism and hydrocephalus. Because to an estrogen promote the hormone reproduction behavior and homeostasis in the brain and body of animals. The histochemical method was employed for detection of estrogen receptor in the brain following the manners of Lee’s method, in order to study of the correlation between the hydrocephalus and estrogen. The hydrocephalic brain was made by the injection of kaolin solution into the cisterna magna of rats. Here we found the acute hydrocephalic stage to be seventh day after the injection.